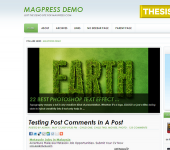 Magloss V2 is a 3 columns fluid width WordPress theme developed by MagPress. 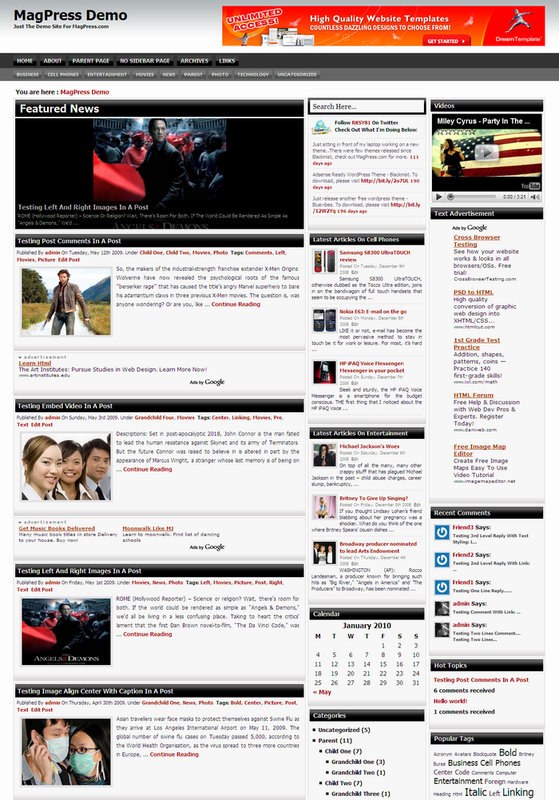 This flexible width theme is a newly improved version of our previous Magloss theme. This theme comes built-in features such as featured content slider, featured latest posts from category with thumb, customize single page with thumbnail related posts, Adsense ready, Twitter ready, enable user to insert up to 5 YouTube videos, etc. All these settings are controllable via easy to use theme options. I use this them for my website and love it, but I’d like to know how to make sure the photos on the feature slider take up the entire space? few of the comments appear like written by brain dead individuals? 😛 And, if you are posting on other social sites, I’d like to follow everything new you have to post. Would you make a list of every one of all your community pages like your twitter feed, Facebook page or linkedin profile? I think this theme will suit to whom want to build a business blog.